Safe, comfortable, and barely noticeable. That’s why Invisalign is the industry leader in perfecting your smile. If you want straight teeth without permanent braces, then Invisalign could be for you. Invisalign® clear trays fit over your teeth and straighten them over time. Because Sunnyside Dental specializes in Invisalign treatments, we’ve provided countless patients with new smiles. If you want an easy and comfortable process without permanent braces, then Invisalign may be for you. For instance, many patients wear Invisalign aligners for 18-24 months and visit our office only every 6-8 weeks. As a result, our Invisalign treatments are one of our most popular services. In addition, we pair our Invisalign treatment with the VPro5. The VPro5 device creates high-frequency vibrations that, in effect, ensure your aligners fully engage. As a result, we can reduce your treatment time by up to 50%. Dr. Jaana has done more Invisalign® treatments in the Okanagan than any other female dentist. Take advantage of her expertise and her Gold Tier rating when you visit Sunnyside! 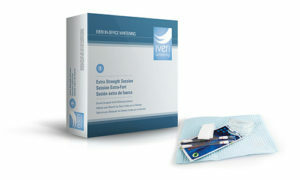 Each Invisalign treatment includes a complimentary teeth whitening. After all, you deserve a perfectly finished smile! 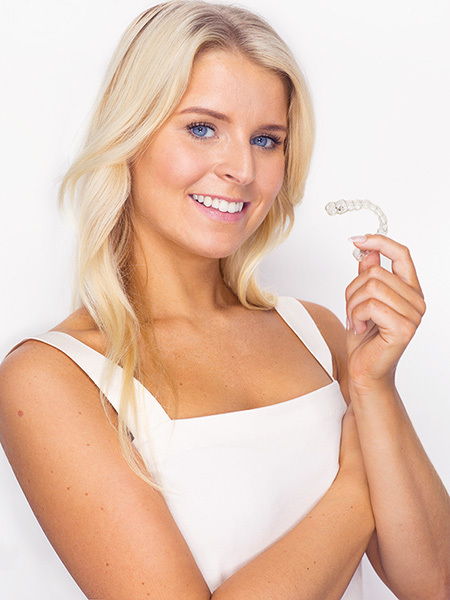 If you want straight, beautiful teeth, then book your free Invisalign consultation today! Invisalign® is for everyone, including teens and adults. First, our Invisalign certified dentists meet with you for a 30-minute consultation, in order to explain the Invisalign process. In addition, the dentist answers any questions you have. Next, we take accurate digital measurements and photos of your current smile. 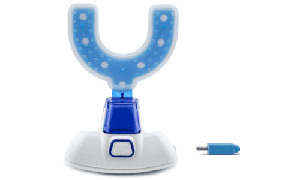 In most cases, we use a 3D digital scanner, which means no messy impression trays! Finally, we order your custom-made aligners. Once your custom aligners are ready, we provide you with several sets. We also teach you how to insert and care for your aligners, which you wear for 2 to 3 weeks at a time. In addition, you’ll visit us a few times to upgrade your aligners. By the time you finish your treatment, you’ll wind up with a straighter smile! One of Invisalign’s best features is that they are removable! As a result, you can take the aligners out when you eat or drink. On the whole, you’ll avoid the hassle and cleaning issues of traditional braces. Because Invisalign uses clear trays, people may not even notice that you’re wearing them. You can straighten your teeth and at the same time maintain your confidence. For example, see how this patient loves her Invisalign treatment.